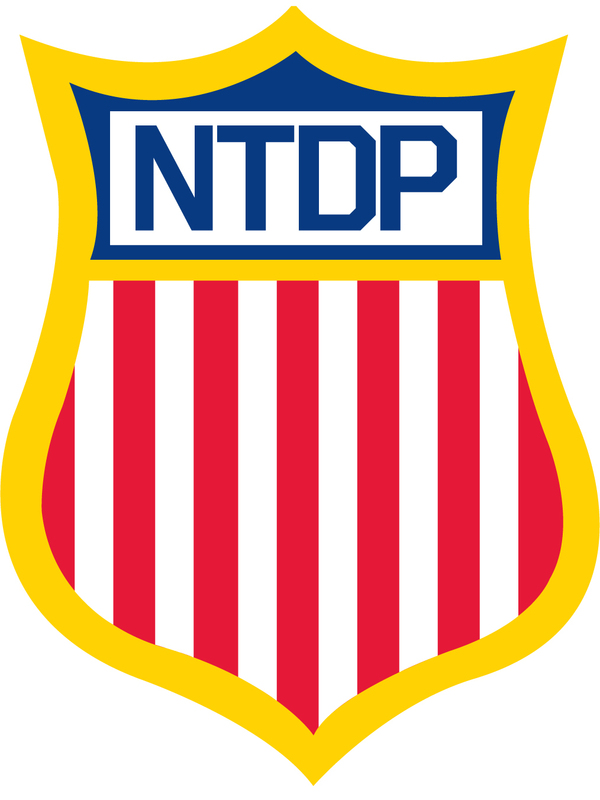 Every year around this time, the NTDP unveils its tryout camp roster for next season’s U.S. National Under-17 Team. This year, the NTDP is inviting 52 of the best American players born in 1998 to compete in the four-day camp to evaluate players for next year’s squad. Some players will receive offers after camp, others will continue to be monitored into the summer player development camps and some could make the team that were not at the camp. It seems to happen every year. This list is always fun to look at to get a feel for who some of the up-and-coming American stars are. Back when I worked in Ann Arbor, it was always fun to look back at past camp rosters and see all of the big names that were in this camp that either didn’t make the NTDP that year or decided not to go. Hindsight can be fun. This list, however, is all about the future. Know these names as many of these players will be future NHL draft picks, college hockey stars and some will be either playing at the NTDP or in a top junior league as early as next year. After the jump, the complete roster. It’s been a lot tougher to track the younger age groups, so I don’t have a great handle on the 1998 birth years. There are several players with NHL connections on this roster. Graham McPhee, who plays at Shattuck-St. Mary’s is the son of Washington Capitals GM and former Hobey Baker Award winner George McPhee. He is committed to Boston College where he will play for his father’s former coach at Bowling Green State, Jerry York. Kieffer Bellows is the son of Minnesota North Stars great Brian Bellows. He is a Portland Winterhawks draft choice in the WHL and just helped Edina High School capture their second consecutive Minnesota state title. Bellows, a sophomore, had three points in the championship game and finished the season with 34 points. Logan Brown‘s father Jeff played many years in the NHL, 747 games in fact, and is now the coach of the USHL’s Indiana Ice. Logan plays for the Ice’s midget team, but also spent time in the increasingly notable St. Louis Blues AAA program in his younger years. He’s a big kid at 6-foot-4, 201 already, so he could be a physically dominant presence in this camp. Griffin Luce also has NHL ties as his father Scott is the Florida Panthers’ director of scouting, while his grandfather is longtime Buffalo Sabre Don Luce, who currently serves as a scout for the Philadelphia Flyers. (thanks to Andrew for the heads up on the omission — a lot of NHL ties here.) Griffin, a verbal commit to Michigan, spent this season at Salisbury School and is a highly-regarded player. Kenny Johnson has both NHL and NTDP connections. The Shattuck-St. Mary’s defenseman is the younger brother of NHLer and NTDP alum Jack Johnson. He may not be the man-child Jack was at his age, but he has size and is gaining a reputation for toughness, from what I hear. Dominick Mersch is the younger brother of Wisconsin star and LA Kings prospect Michael Mersch, who spent two years in Ann Arbor. Dominick plays for the Chicago Mission. Another NTDP connection is James Greenway, whose brother Jordan is having a great year with the NTDP’s U17 team right now. Jordan is a big defenseman with 33 points, who has committed to Boston University. Players that have some buzz coming into the camp include Max Jones and Chad Krys. Jones is rumored to have already accepted an offer to the NTDP, while Krys has been viewed as one of the top offensive defensemen in his age group. Krys is expected to be pursued heavily by the QMJHL this offseason as he is probably the best player in the east, by many accounts. Another player who will have some buzz for helping his team make it to the Minnesota Class AA state final as a freshman goalie is Jake Oettinger. He helped get Lakeville North to the state final, only to run into the Edina powerhouse. They lost 8-2, but that doesn’t take away from Oettinger’s impressive showing as a freshman. The 6-3, 195-pound goalie finished the year with a .917 save percentage, including a .931 mark in the regular season. Another big Minnesota goalie to watch is Dayton Rasmussen from Holy Family H.S. He posted a .926 save percentage and 1.41 goals-against average as a freshman this season and seems to have picked up some buzz this season. There are quite a few college committed players coming to camp as well including Mitch Eliot, who was one of (if not the) first to verbally commit to a school, having done so last February at age 14. At this point, he is headed to Michigan State University. Notably not on the invite list is Jakob Chychrun, who was born in Florida, but holds dual Canadian and U.S. citizenship. He is expected to be the No. 1 pick in the OHL draft and is almost assuredly headed there. It is also likely Chychrun will choose to represent Canada internationally. The Boca Raton, Fla., native played for the Toronto Junior Canadiens this year and was named to Canada Ontario for the World Under-17 Challenge, a rare occurrence for an underage player. Chychrun’s father is former NHLer Jeff Chychrun. I’m told Chychrun did not receive an invite to the camp, as he is expected to go the OHL route. Making this camp is a great accomplishment for a lot of players, and for the ones that didn’t make it… well…. Patrick Kane didn’t make it either. He ended up as a last-second addition to the NTDP’s U17 team way back in 2004. It’s funny how development works sometimes. Since I’m not as familiar with this group, be sure to check out some other great breakdowns including this one from OverTheBoards.net and SBNCollegeHockey.com. Both have a fairly comprehensive look at this roster and I trust both outlets. Here’s the full list of who is invited via USANTDP.com. This entry was posted in American Prospects, NTDP, USA Hockey. Bookmark the permalink. Griffin Luce has NHL ties as well. His father Scott Luce is the Director of Scouting for the Panthers. His grandfather Don Luce played in the NHL for over a decade and was Director of Player Development for the Flyers. Thanks for the tip. There are a ton of guys this year. As a former St.Louis youth hockey player at the beginning of hockey in St.Louis, I’m always interested in how amateur hockey there has developed over the years to being a producer of elite talent. When I was a kid, we were told that we were wasting our time as no one in St.Louis could play at the elite levels. Now there are several St.Louis kids on your list (and currently in D1 or the NHL). It has take 40+ years along with good coaching to make it happen. My 2 cents – there are some superstars in this group. Ryan Lindgren from SSM Prep is a phenomenal offensive defense man who committed to Minnesota at barely 15. Logan Brown is a huge prospect, the OHL wants him bad. Max Jones from Honeybaked is also highly coveted by the OHL, his Dad played for Michigan and his brother plays for Plymouth (OHL). Chychrun is amazing – but I think USA Hockey has acknowledged that he’ll be going the OHL route. Clayton Keller – super scorer, committed to BU. Ryan Edquist – super high profile goaltender from Minnesota and SSM Prep, already committed to Minnesota. Khodorenko is another Honeybaked player that scouts rave about, their coaches recruited him from San Jose to play for Honeybaked, he’s big and skilled. Chad Krys is another really really high-end prospect, he’s drawn some comparisons to Noah Hanafin who’s projected to go #2 overall in the 2015 NHL draft behind Connor McDavid. Cam Dineen played with Krys on the NJ Rockets U-19 team this year, he’s committed to Yale. Adam Fox is a highly skilled offensive D-man from Long Island. Greenway’s brother is a top-10 prospect for the NHL Draft, they’re from Potsdam but play for SSM in Minnesota, huge kids. Griffin Luce is committed to Michigan, he won a NE Prep title with Salisbury this season. I think Edquist and Woll will be selected in net. Latorella is highly touted too though, should be interesting, as usual.